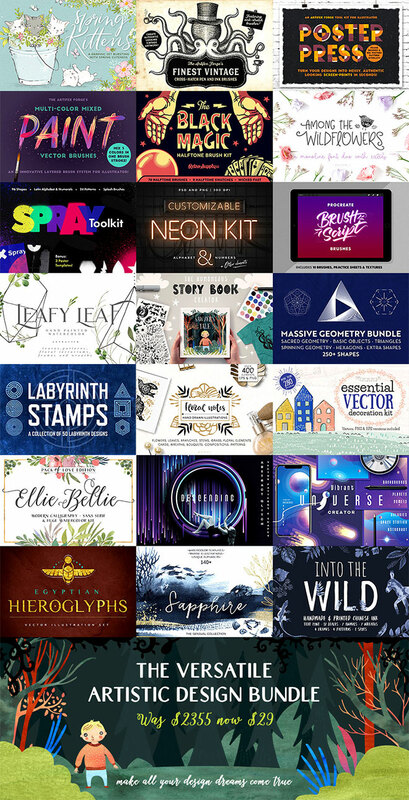 Every pack in this all new design resources bundle is completely different from the next, making it an extremely versatile collection of tools that will prepare you for any future project. You’ll be equipped with some of the best artistic resources, giving you the ability to create everything from cute watercolour designs, to grungy masterpieces, kids storybooks, slick vector branding and more. Thanks to the 99% discount, the $2355 regular price is reduced right down to just $29, but for a limited time only! 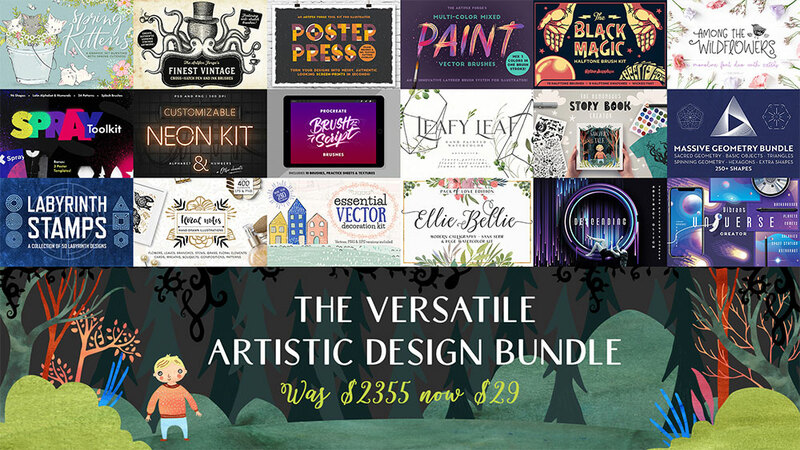 The Versatile, Artistic Design Bundle includes everything from cute watercolours, to intricate ink effects, spray paint, vintage etchings, halftones, fonts, clean shapes and much more. These products were created by true masters at their crafts, and the attention to detail in each pack is superb!